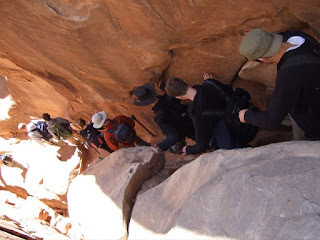 This weekend I went camping with the BYU Outdoor Adventure Club to the Moab area. 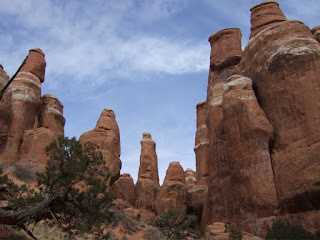 We drove down on Friday night and camped on some barren BLM land outside of Arches National Park on Friday night. I slept under the stars, which were beautiful and bright against the dark desert sky. 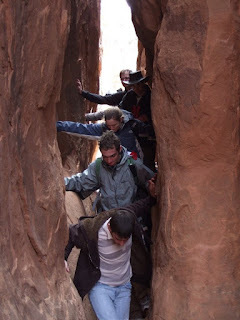 On Saturday we went into the park and hiked through the Fiery Furnace with a ranger named Clay, who taught us the importance of cryptobiotic soil and the rare Canyonlands Biscuitroot. He also made sure that we didn't wander more than 10 feet away or jump off anything taller than 6 inches. I felt like I was in first grade. After our guided hike we had only about an hour before we had to head back to Provo, but we really wanted to see the world famous Delicate Arch—after all, we were only a mile or so away. 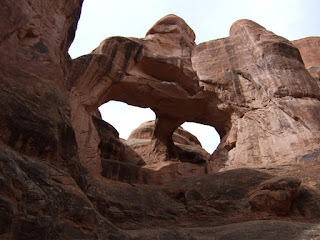 The park guide showed that it was a short drive away, with a three-mile round-trip hike to get to the arch. We decided to go as fast as we could. We ran most of the way to the arch, whizzing by startled tourists on our way there. I got to the arch a little before the others, and it was amazing! 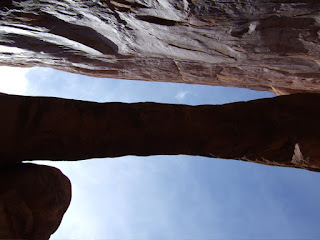 The last little bit of the trail parallels a high sandstone wall, so you can't see the arch until you're right there. After taking lots of pictures, we ran all the way back to the car. We made the whole round trip, including over 10 minutes of picture taking, in about 50 minutes. When we got back to the car we read in the park guide that it takes "2–3 hours". Maybe we should tell them to revise it to "1–3 hours" :). We made great time back to Provo (3h20m from Arches NP to BYU campus). As we drove, the weather turned from a sunny 65º to a heavy snowstorm. My t-shirt and sandals felt pretty chilly when I stepped out of the car at home. The trip was a lot of fun. I'm glad I went. As usual, I took lots of pictures. Nice pictures, Bruce. What kind of camera do you have/use? Very nice. Nice pictures. Nice adventure. Nice pics. 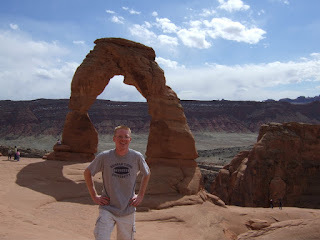 I have a couple that are almost exactly the same, in the same places, from a trip to Arches when I was 17. It's a pretty cool place, eh? Barney: thanks. I have a FujiFilm FinePix F10, but I actually used my brother's FujiFilm FinePix F51 on this trip. Jacob: as much as I missed not being able to pay for a race, it was made up for by the national park entrance fee. I'll cope somehow. Did you have to have a tour guide? 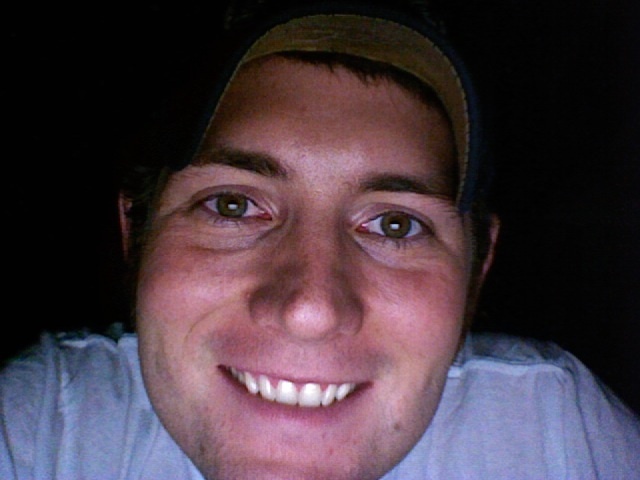 Your pictures are beautiful! That's awesome that you got to go! Cherise, you can either have a ranger give you a tour, or you can go watch a video at the visitor center and get a permit and go by yourself. However, it's pretty easy to get lost in there since there are no marked trails, so it's best to go with someone who's been before.